I made a quick detour from my usual commute to capture today’s subject, The Angel of the North. It’s not the world’s greatest photo, but I was slightly embarrassed by whipping out my iPhone while surrounded by more photographers with more equipment than seemed reasonable for something that’s already been photographed so much. Interestingly, a car park has appeared nearby, which wasn’t there last time I visited… although that was probably some years ago! If you’re in the area, I guess it makes it considerably easier to make a quick visit – which is highly recommended! 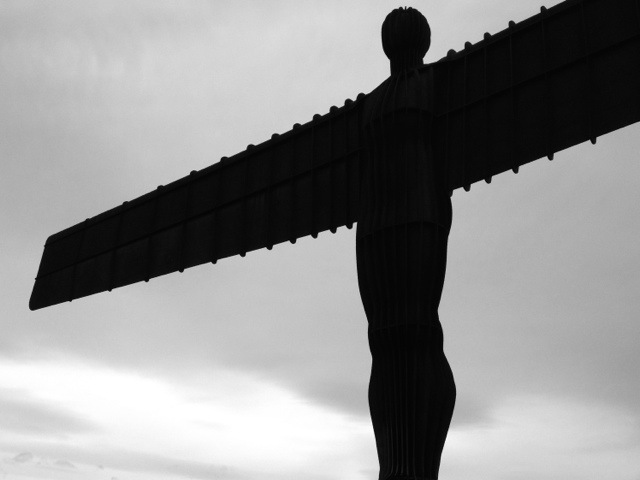 This 1,530th post was filed under: Photo-a-day 2012, Angel of the North, Anthony Gormley, Art, Gateshead.